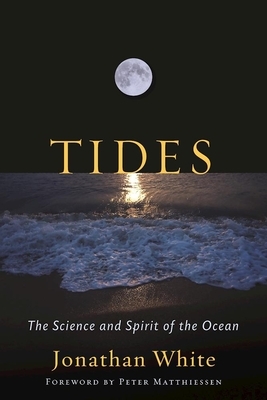 Tides: The Science and Spirit of the Ocean (Hardcover) | Beach Books Inc. In Tides: The Science and Spirit of the Ocean, writer, sailor, and surfer Jonathan White takes readers across the globe to discover the science and spirit of ocean tides. In the Arctic, White shimmies under the ice with an Inuit elder to hunt for mussels in the dark cavities left behind at low tide; in China, he races the Silver Dragon, a twenty-five-foot tidal bore that crashes eighty miles up the Qiantang River; in France, he interviews the monks that live in the tide-wrapped monastery of Mont Saint-Michel; in Chile and Scotland, he investigates the growth of tidal power generation; and in Panama and Venice, he delves into how the threat of sea level rise is changing human culture--the very old and very new. Tides combines lyrical prose, colorful adventure travel, and provocative scientific inquiry into the elemental, mysterious paradox that keeps our planet's waters in constant motion. Photographs, scientific figures, line drawings, and sixteen color photos dramatically illustrate this engaging, expert tour of the tides.